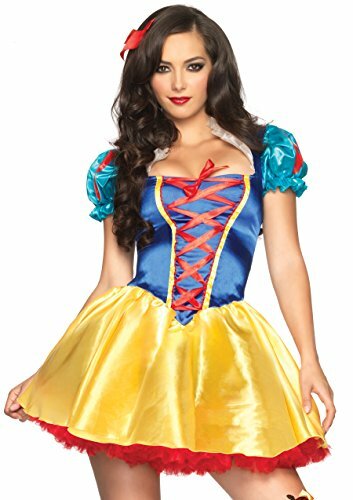 Monthly Naughty Womens Halloween Costumes Deals. Halloween Store. Incredible selection of Halloween Costumes, Halloween Decorations and more! Shapely and stunning, this French maid outfit is sure to fulfill fantasies. This flirty dress is feminine and flattering, and it features a beautiful, lace-trimmed, sweetheart neckline and delicate spaghetti straps. The white cups of the top are met by a black lace-up panel at the center. The dress skirt is full and flirty, filled out by an adorable, polka-dotted, black and white underskirt, which extends below the hem of the overdress. A lacy, white apron is attached at the waist and a removable collar, white with black trim, sits around the neck.Without the duster.